If Congress passes Trade Promotion Authority it opens a meaningful debate on the merits of a Trans-Pacific Partnership trade agreement. As the lead U.S. trade association seeking to make the world a better place for U.S. dairy exports, I was intrigued to see Josh Barro’s New York Times column, “But What Does the Trade Deal Mean if You’re Not a Cheesemaker”? As Barro points out, while resolving obstructive import tariffs would bring real growth for dairy—and most U.S. farm and food products— the Trans-Pacific Partnership puts a wide range of issues in play that would affect our business as well as those of many others. High on that list is the reality that U.S. dairy companies need a growing and economically secure middle class in America as much as they need export growth opportunities. Yet, the warring quotes from eminent economists on op-ed pages only tell me that assessments of the net economic benefits of more open trade are unclear and open to honest disagreement. What’s not unclear, though, is that trade brings winners and losers. Therefore, Congress must also focus on targeted assistance to displaced workers that would better sustain a middle class consuming the goods and services that undergird our economy. Considerable angst also exists on the left and right regarding the Investor State Dispute Settlement (ISDS) provisions in TPP. It certainly makes compelling rhetoric to raise alarms that an arbitration panel would compromise American sovereignty or force upon us more lax food safety standards. Yet, both the facts and my own experience show that the United States wins far, far more of these arbitrations than we lose. We generally prevail because our regulations stem from transparent and science based standards that withstand scrutiny for fairness. Consequently, dispute settlement has usually ensured that U.S. companies and consumers achieve the benefits that we intended to achieve in the negotiations, without falling prey to back-channel protectionism. And, where we backslide—such as the NAFTA trucking dispute with Mexico or country-of-origin labelling for beef and pork—we lose. As we should. Barro also articulately laid out the debate over intellectual property. 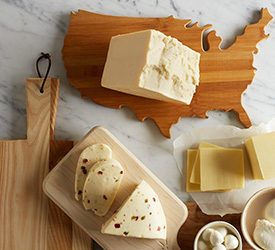 Yet, even in this arcane area, there is a clear intersecting goal for U.S. cheesemakers and American consumers who love their astounding advances in making delicious, high-quality specialty cheese. A TPP goal is to build a system that could withstand Europe’s attempt to hijack the exclusive rights to produce the cheeses brought here decades ago by European immigrants. Europe claims global exclusive rights to many cheeses widely considered generic, such as feta, havarti, provolone, parmesan and asiago. If we fail to prevent Europe’s policy in the TPP, the loss of choice for U.S. consumers will see increasing vulnerability in the U.S.-European Union free trade talks already underway. One of Barro’s most important points was to question why many lawmakers were resisting the adoption of Trade Promotion Authority (TPA). TPA governs the rules as to how Congress would review and approve a TPP treaty and does not pre-judge the treaty terms themselves. We won’t know what’s in the various TPP chapters until the House of Representatives joins the Senate in approving TPA so the negotiators can finish the job. Then, a meaningful debate can take place on the merits of the treaty itself. If TPA is passed, then we will see an important debate about our future. Some will certainly raise the larger geopolitical issues in play on bolstering our bridges to countries in the region. While a valid concern exists about the serious loss to the United State of political face and influence if TPP falls short, such arguments can’t be used to trump discussion of the treaty’s economic value. If that were so, then we should just give the protectionist sectors of Japan and Canada a pass on further concessions, and cut the final deal. But that would be a serious mistake. In today’s world, as China seeks its rightful role in the world community, American influence can only re-assert itself on the backs of a healthy economy. A full debate on TPP’s final terms is necessary for the U.S. dairy sector as well. Though I’m familiar with most of the TPP provisions specific to dairy, so far, they’re not sufficient to provide a positive assessment. I do know that our government negotiators are working hard, long hours dedicated to delivering the best deal reflecting the needs of all their stakeholders. Let Congress pass TPA, allowing them to finish their job and bring it to the American public for debate. The U.S. Dairy Export Council is primarily supported by Dairy Management Inc. through the dairy farmer checkoff that builds on collaborative industry partnerships with processors, trading companies and others to build global demand for U.S. dairy products.